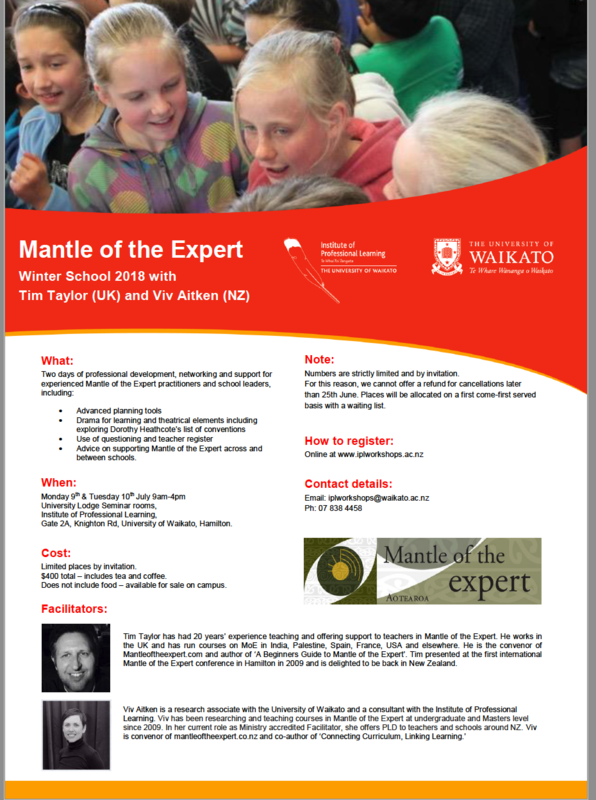 Here’s some information about two professional development opportunities coming up in the Waikato & Bay of Plenty. The first is an informal get together suitable for beginners and those looking for planning ideas and support. The other is a full weekend of professional development for more advanced practitioners, with the amazing Tim Taylor from the UK (author of ‘Beginners Guide to Mantle of the Expert’). If you’re someone who has been dying to dig deeper into Mantle of the Expert – whether as a beginner or as an experienced teacher looking for that next step in your journey – there is something here for you.